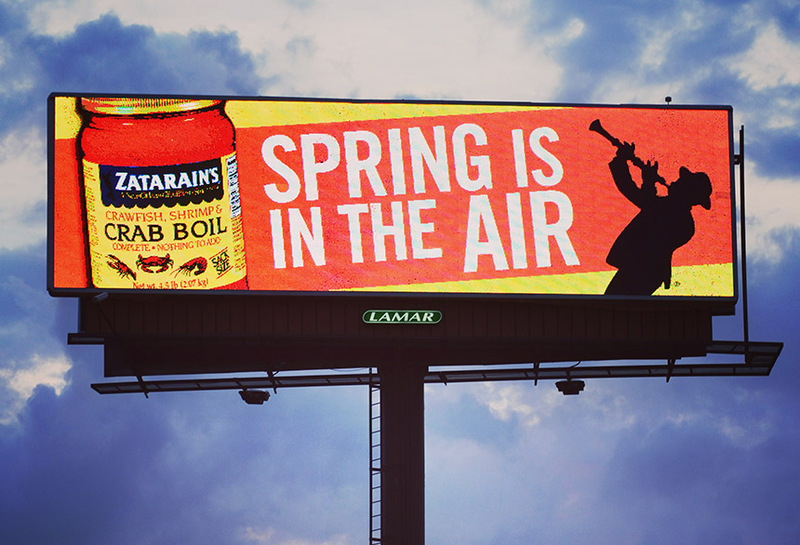 Zatarains ran a product marketing campaign using Lamar digital billboards. This creative ran during the seasonal change from winter to spring. It reminded consumers of the brighter days ahead and the season of outdoor crab boils.